In this article, you'll learn about structures in C++ programming; what is it, how to define it and use it in your program. Structure is a collection of variables of different data types under a single name. It is similar to a class in that, both holds a collecion of data of different data types. For example: You want to store some information about a person: his/her name, citizenship number and salary. You can easily create different variables name, citNo, salary to store these information separately. You can easily visualize how big and messy the code would look. Also, since no relation between the variables (information) would exist, it's going to be a daunting task. A better approach will be to have a collection of all related information under a single name Person, and use it for every person. Now, the code looks much cleaner, readable and efficient as well. This collection of all related information under a single name Person is a structure. 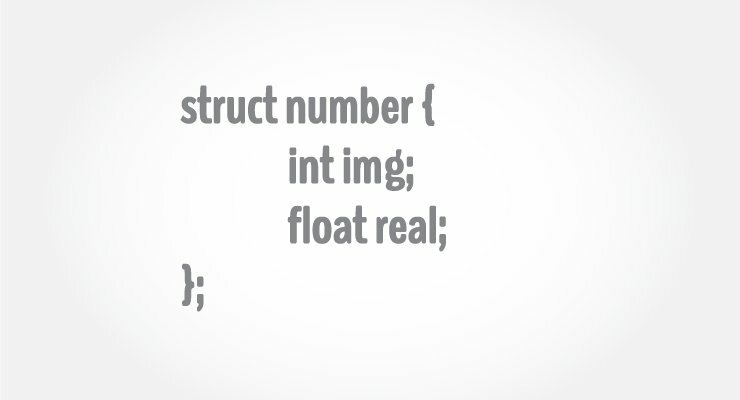 How to declare a structure in C++ programming? The struct keyword defines a structure type followed by an identifier (name of the structure). Here a structure person is defined which has three members: name, age and salary. When a structure is created, no memory is allocated. The int specifies that, variable foo can hold integer element only. Similarly, structure definition only specifies that, what property a structure variable holds when it is defined. How to define a structure variable? Here, a structure variable bill is defined which is of type structure Person. When structure variable is defined, only then the required memory is allocated by the compiler. Considering you have either 32-bit or 64-bit system, the memory of float is 4 bytes, memory of int is 4 bytes and memory of char is 1 byte. Hence, 58 bytes of memory is allocated for structure variable bill. How to access members of a structure? The members of structure variable is accessed using a dot (.) operator. C++ Program to assign data to members of a structure variable and display it. Here a structure Person is declared which has three members name, age and salary. Inside main() function, a structure variable p1 is defined. Then, the user is asked to enter information and data entered by user is displayed. How to pass structures to functions?